Jose Oliva is the co-director of the Food Chain Workers Alliance and Board member of the Chicago Food Policy Action Council. 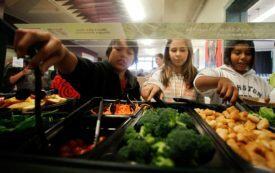 What if School Lunch Programs Promoted Public Health, Good Jobs, and the Environment? From LA to Cook County, local governments are using their purchasing power to transform the food system.